For most of us, the more recognition we get for our efforts from those in charge, the more successful we thing we are . . . for all the technology he has at his disposal, empathy, is the single greatest asset he has to do his job (pg 8). When you have people who trust you, they’re going to do a better job for your to ear or keep that trust (pg 13). This is what happens when the leaders of an organization listen to the people who work there . . . Working with a sense of obligation is replaced by working with a sense of pride. And coming to work for the company is replaced by coming to work for each other (pg 14). United States Marines are better equipped to confront external dangers because they fear no danger from each other (pg 24) . . . it should be the goal of leadership to set a culture free of danger from each other. And they way to do that is by giving people a sense of belonging (pg 26). When the Circle is strong and that feeling of belonging is ubiquitous, collaboration, trust, and innovation result . . . We cannot tell people to trust us. We cannot instruct people to come up with big ideas. And we certainly can’t demand that people cooperate. These are always results - the results of feeling safe and trusted among the people with whom we work (pg 29). The Whitehall Studies reveal that “it is not the demands of the job that cause the most stress, but the degree of control workers feel they have throughout their day” (pg 35). “You can’t laugh and be afraid at the same time” (pg 49). “Yes, it’s true, we hate all that e-mail, but we live for the ding, the buzz or the flash that tells us something’s there” (pg 53). “Those who work hardest to help others succeed will be seen by the group as the leader or the ‘alpha’ of the group. And being the alpha - the strong, supportive one of the group, the one willing to sacrifice time and energy so that others may gain - is a prerequisite for leadership” (pg 59). “Leadership is the choice to serve others with or without any formal rank . . . It’s okay for leaders to enjoy all the perks afforded to them. However, they must be willing to give up those perks when it matters . . . Trust is not simply a matter of shared opinion. Trust is a biological reaction to the belief that someone has our well-being at heart. Leaders are the ones who are willing to give up something of their own for us . . . they only become leaders when they accept the responsibility to protect those in their care . . . The only thing our leaders ever need to do is remember whom they serve and it will be our honor and pleasure to serve them back” (pg 82, 83). “In weak organizations, without oversight, too many people will break the rules for personal gain. That’s what makes the organizations weak. 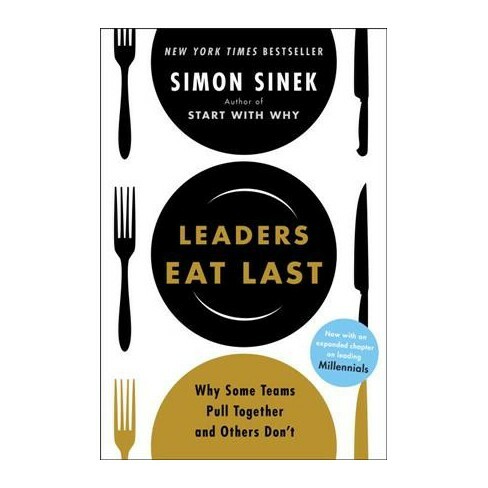 In strong organizations, people will break the rules because it is the right thing to do for others” (pg 93). “Our search for happiness and connection has also led us to seek professional advice. In the 1950s, few of us went to weekly sessions with a therapist. Today in the U.S., according to the Hoover Institute, there are 77,000 clinical psychologists, 192,000 clinical social workers, 105,000 mental health counselors, 50,000 marriage and family therapists, 17,000 nurse psychotherapists, and 30,000 life coaches. The only reason the filed continues to grow is because of increasing demand. The more we try to make ourselves feel better, the worse we seem to feel” (pg 96). “Real live human interaction is how we feel a part of something, develop trust and have the capacity to feel for others. It is how we innovate (pg 141). An online community gives shy people a chance to be heard, but the flip side is it also allows some to act out in ways they probably never would in real life” (pg 140). “As social animals, it is imperative for us to see the actual tangible impact of our time and effort for our work to have meaning and for us to be motivated to do it even better. . . our bosses telling us how important our work is, is nowhere near as powerful as us getting to see it ourselves” (pg 147). “If another colleague told us that over the weekend they volunteered their time to paint a school in the inner city, what would you think of them? ‘That’s cool,’ we’d think to ourselves, ‘I should do more.’ Simply hearing about the time and energy someone gave to others can inspire us to want to do more for others too” (pg 151). Goethe: “You can easily judge the character of a man by how he treats those who can do nothing for him” (pg 163). “Building trust requires nothing more than telling the truth” (pg 192). “Multitasking, it turns out, does not make us faster or more efficient. It actually slows us down . . . In a Stanford University study of college students, self-proclaimed chronic multitaskers made more mistakes and remembered less than those who considered themselves infrequent multitaskers. Another Stanford study found evidence to suggest that chronic multitaskers were worse at analytical reasoning as well (pg 257).